Its predecessor, Final Cut Pro, had gained prominence in the industry, and many broadcast TV facilities in Hollywood had switched over to or, had been started as a direct result of the low cost of entry for the software. That being said, although common, FCP Classic was still in the minority in Hollywood compared to Media Composer when Final Cut Pro X was launched. Estimates vary, but to say 15-20% of TV post was cut on FCP Classic would not be a stretch. X lacked many features of FCP Classic, and many of its features went against the editing methodology that most professional film and TV editors were accustomed to. It also meant many of the workflows, hardware, and technology that made them efficient were now in question. Apple’s launch of Final Cut Pro X also meant Final Cut Pro Classic was killed, and that caused many facilities to instantly see their investment in infrastructure have a finite shelf life. Facilities now had 2 choices: throw caution into the wind, and gamble on brand new software which lacked the things they knew, or, move to another platform, which could be expensive in terms of hardware, software, and tech infrastructure, as well as re-training the talent they had on staff. This, uhhh, was slightly upsetting for the industry.…and thus the awesome power that Final Cut Pro X had (and still has) was eclipsed by the product launch. This stalled the adoption considerably. By 2017, the price point for powerful, standalone NLE systems – both hardware and software – were around the same price; give or take. This was not the case 10-15 years prior, when Media Composer was tens of thousands of dollars more expensive – and one of the main reasons users flocked to Final Cut Pro Classic in the first place. Now, cost is not as much of an issue. 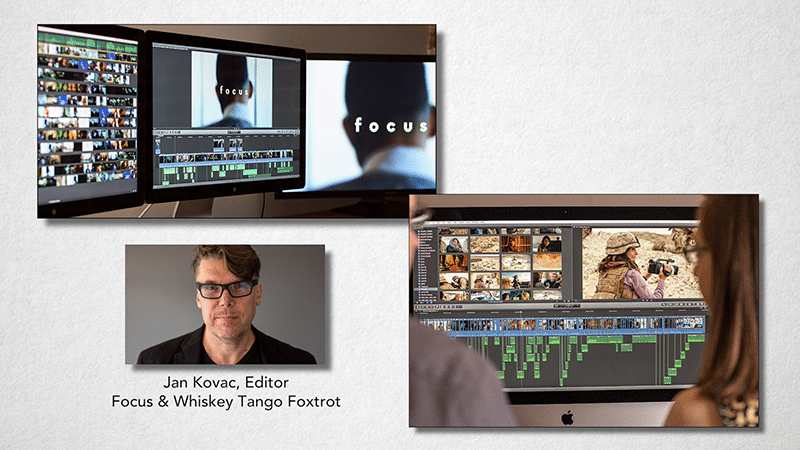 Features edited with Final Cut Pro X, both by Jan Kovac. It’s only been recently that Hollywood has dipped its toe in the Final Cut Pro X water. Only a few feature films, including Focus and Whiskey Tango Foxtrot, have been cut on it. In stark contrast to Avid, Apple seems to enjoy adoption success into markets outside of Hollywood. And from a purely financial perspective, this makes sense. There are many more editors and hobbyists outside the Hollywood market than professional editors in it. Thus, Final Cut Pro X, in Hollywood broadcast television and feature film projects is in the extreme minority, with little upwards momentum in the industry. Adobe Premiere has been around almost as long as Avid Media Composer, but it wasn’t until a rewrite around 2003, that Adobe renamed it “Premiere Pro”, and Adobe simultaneously expanded their reach from the consumer market to a more professional one. And when I say “professional”, I mean professional markets outside of Hollywood. It wasn’t until the next decade that Premiere Pro finally made inroads into the Hollywood market. And what was that event? It’s what I call the “Final Cut Pro Fog”. Apple killed Final Cut Pro Classic. …and it left those facilities and users entrenched in it lost and wondering what to do and where to go. Do they go back to Avid? Or, do they look at what is the most similar to Final Cut Pro Classic, in terms of editing paradigm, hardware requirements, and talent pool? Adobe pushed hard during the early days of Final Cut Pro X to grab the user base that felt abandoned by Apple. But it wasn’t all smoke and mirrors. Adobe added more and more features to the product to further convey to the market that they were innovating. It also helped that After Effects and Photoshop were already a staple in the Post community, and thus most facilities already owned – or should I say rented – Premiere Pro software. The rental model Adobe adopted also gave Adobe a way to push updates more often, without waiting for quarter’s end or tradeshows like NAB. This kept Adobe relevant and industry news worthy. Lastly, Premiere Pro could run on the same systems that ran Final Cut Pro Classic, or even Media Composer. Which brings us up to present day, where Adobe continues to add features like Team Projects and shared projects to make collaboration seamless for those who have worked in Avid environments. Features edited with Adobe Premiere Pro. Despite all of this momentum and development on the part of Adobe, adoption for feature film and broadcast television has been slow. Only a few TV shows – mostly cable- and a handful of feature films have been cut on Premiere Pro. Premiere has still has not reached a Hollywood adoption rate of Final Cut Pro Classic, so we’re looking at somewhere around 10% – but the gap is closing. 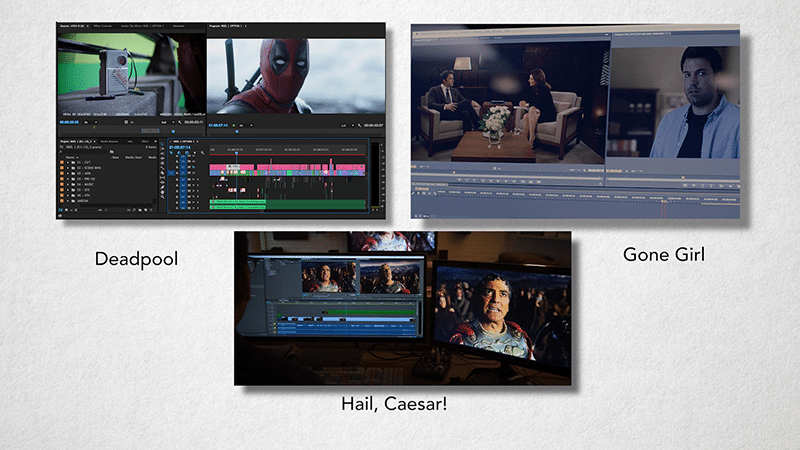 By stark contrast, alternative professional markets, and a massive chunk of indie films have moved to Premiere Pro. Premiere, while not nearly as relevant in feature film and broadcast television as Media Composer, is the 2nd most utilized NLE in Hollywood, and you’d be wise to learn it as it becomes more widely adopted. form you handled the issue took me to weep over joy. Extremely thankful for this assistance.